Wan YR*, Yuan GD*, He BQ, Xu BY, Xie W, Wang SL, Zhang YJ, Wu QJ**, Zhou XZ**. Foccα6, a truncated nAChR subunit, positively correlates with spinosad resistance in the western flower thrips, Frankliniella occidentalis (Pergande). Insect Biochemistry and Molecular Biology, 2018, 99: 1-10. Zhu LH*, Li ZY*, Zhang SF, Xu BY, Zhang YJ, Zalucki MP, Wu QJ**, Yin XH**. Population dynamics of the diamondback moth, Plutella xylostella (L.), in northern China: the effects of migration, cropping patterns and climate. Pest Management Science, 2018, 74: 1845-1853. 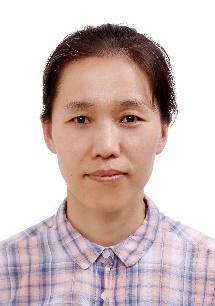 Li XY#, Wan YR#, Yuan GD, Hussain S, Xu BY, Xie W, Wang SL, Zhang YJ, Wu QJ*. 2017. Fitness Trade-off associated with spinosad resistance in Frankliniella occidentalis (Thysanoptera: Thripidae). Journal of Economic Entomology. 110(4), 1755–1763.